In 2017 has been produced boat Hanse 385 called 395. 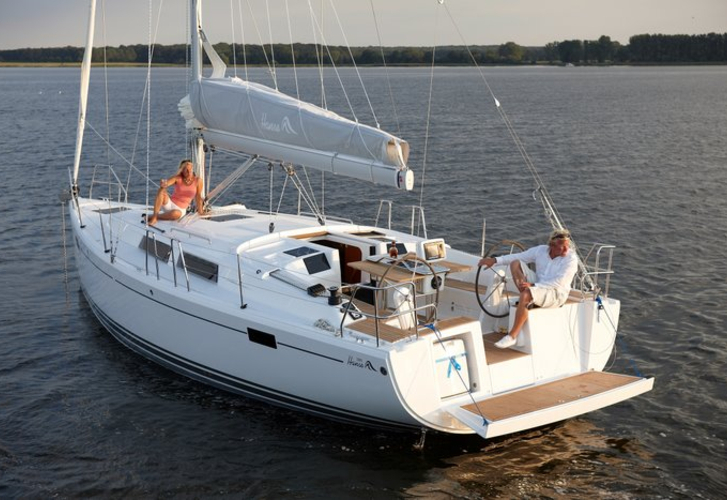 You can board up to 8 passengers on the sailboat 395. Scheme of berths is 8 (6+2). There are 3 cabins placed under boat's deck. 395 has 1 toilettes. In this boat is installed motor 29. With 10.90 m of lenght overall and 3.88 meters of width 395 provides enough space for comfortable sailing. Hanse 385 395 is equipped with: Mainsail with lazy jack, Self-tacking jib , Teak cockpit, Anchor electric windlass, Radio / cd player, Dvd, Heating, Gps, Autopilot, Gps plotter. . Security deposit is at the level of 1500.00 EUR.